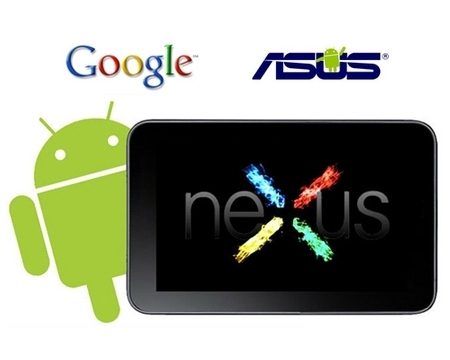 In addition to the news about new Android OS, Google announced its own tablet called Nexus 7. Let’s take a little closer look at it. Google has promised long ago to release a 7” tablet with really good specifications that would cost less than $ 200. Well, in my opinion, they managed to do so. Think about it: for $ 199 you will get a tablet with HD-resolution and quad-core Tegra 3 processor. Apart from the above mentioned resolution and processor, Nexus 7 will have regular updates. You may say that it’s not really important, but take a look at the low cost tablets market. Very few manufacturers update them up to the latest Android OS version, and the devices usually have the same OS (although there are some pleasant exceptions, like the tablets from Ritmix and Digma). Even tablet giants like Samsung are slow with updates: thus, Samsung’s Galaxy Tab 7.7 still runs on Android 3.2. What else can be said? Another advantage is the status bar at the top of the screen. Well, it’s not really as convenient to reach it with a finger as before, but there are hopes that it will disappear when running a full-screen application. In case you have forgotten, let me remind you that in Android 3.2/4.0 status bar does not disappear completely, but leaves a black stripe that is visible even in full-screen applications (video players and readers, for example). It looks like Jelly Bean for 7” tablets uses smartphone interface rather than tablet interface, but I can’t say that it’s a disadvantage. Some users have noted that for them tablet versions of applications were a little bit small on their 7” devices. At the presentation there were shown two games for Nexus 7: Horn and Dead Trigger. Both of them are of high quality and have lots of special effects. Both these games prove that NVIDIA makes a lot of efforts to release colorful and interesting games for Android. The main disadvantage of Nexus 7 is, of course, absence of memory card slots. 8 GB of disk memory (or 16 GB in $ 250 version) is very little for a tablet with such a good screen and optimized for gaming. Cash for modern games have already exceeded 1 GB, and full-length HD movie weighs about 5-8 GB. Another drawback is the absence of 3G-version. Both disadvantages are very serious and significant, from my point of view. Some people still do not like the smartphone-like interface of the tablet, but I think it is a plus, not minus. It is expected that the tablet will cost around 200$ and I think that the tablet deserves the money you’ll spend on it. Tegra 3 productivity is much more than that of the rival tablets, which usually have dual core processors (and some even have one-core processors). Another advantage is resolution, because other tablets within such a price have 1024?600 resolution. And add to this the latest Android OS version with the optimized usability and smoothness of the interface. It should be mentioned that the tablet is built by Asus, and I hope that Asus will release an improved version of Nexus 7 under their own brand, which will include microSD slot, built-in 3G, and will be of a similar (or a bit higher) price. But even with the current specifications, Nexus 7 is one of the best tablets at the market of low cost 7” tablets.